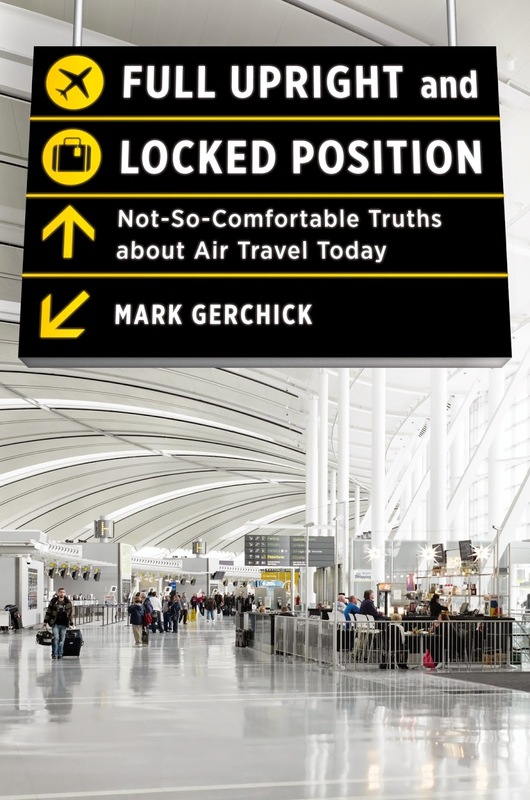 Mark Gerchick’s new book about airlines is must reading for anyone who flies. For people planning a vacation for 2015, Gerchick’s chapters on fares and frequent fliers will help you do better in the cat and mouse game between cash hungry airlines and price-conscious travelers. For ticketed passengers, information on airline schedules, delays, luggage processing, pilots, health conditions aloft and airline security will help you have a better - - or less bad - - flight. For travelers serving a life sentence in coach, Gerchick offers a view of life in business class, flying chartered jets and the over-the-top world of first class on international flights. Gerchick has worked in aviation all his life, starting with a summer job at Westchester County Airport when he was a teen. He was Chief Counsel of the Federal Aviation Administration (FAA) and a staffer to the Secretary of Transportation. He is now an aviation consultant. But experience does not an author make. 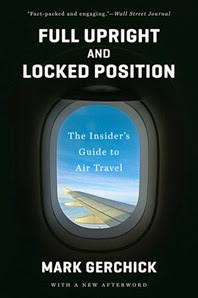 Full Upright and Locked Position is compelling, often witty reading. Gerchick carefully organized countless facts in the text, with some clarifying repetition. He presents these squadrons of facts in a clear, mostly jargon-free and congenial writing style. The book’s main theme is that a desire for financial stability and profitability drive nearly every airline decision. Airlines use data on past flights and supercomputers to determine how many flights to schedule and to price seats as economy, super economy or business class. Airlines have discovered that they are not selling “just a flight.” “Airlines,” Gerchick explains, are “selling a bundle of separable, flight-related services. . . “ When my father joked that a bargain airfare “might not include the wings,” he was on to something! Airlines charge bag fees, snack fees, drink fees, seat assignment fees, ticket change fees and fuel surcharge fees. In 2010 and 2011, Gerchick says, checked bag and ticket change fees generated nearly $6 billion, more than all airline net profits in those years! increases by a penny, the fuel bill for all US airlines increases $175 million! Since this book appeared in 2013, fuel prices have plummeted and airlines are jamming more people into skinnier seats. In a recent conversation, Gerchick said “In public statements, airline CEO’s are emphatic that they will not lower fares with lower fuel prices.” Passengers have little leverage to share these savings; airline flights are already nearly full and airlines have no incentive to charge less. Pricing and legroom illustrate a key concept that any traveler will encounter. Even with recent fare increases, airline fares are still, adjusted for inflation, much lower than they were in what people recall as the golden age of aviation. At book’s end, Gerchick looks at aviation trends. Airline mergers could increase fares in the future. The Federal government is likely to continue to press airlines to make airline fares as transparent as possible with fewer “gotcha fees” as a ticket is purchased. An FAA overhaul of air traffic control could shorten travel times, improve safety and save fuel. Despite the emphasis on profitability, Gerchick recognizes that frontline airline people try to do their best for the traveler. 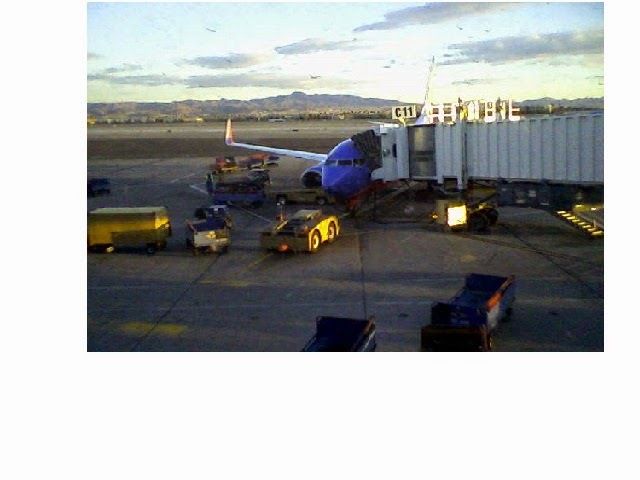 The last story in the book, about a Southwest pilot helping a distraught parent, is likely to make you cry. Thanks for reading the post. This book is full of excellent facts and insights. More than could fit into the format of a blog.